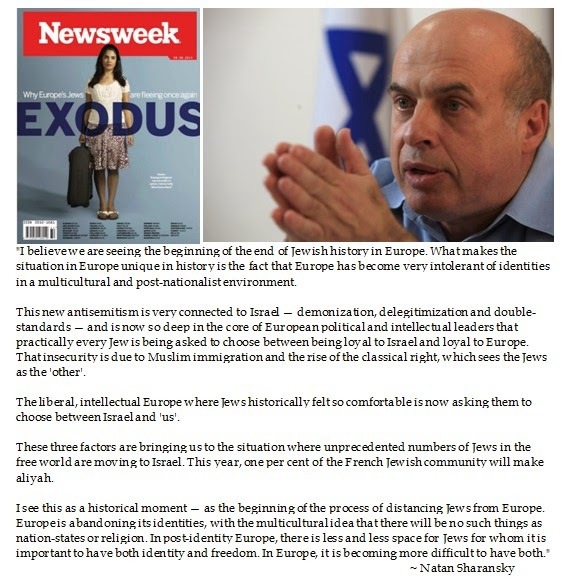 Long before the Charlie Hebdo Paris Shooting, former Russian refusenik Natan Sharansky voiced skepticism to the viability of a Jewry in Europe. 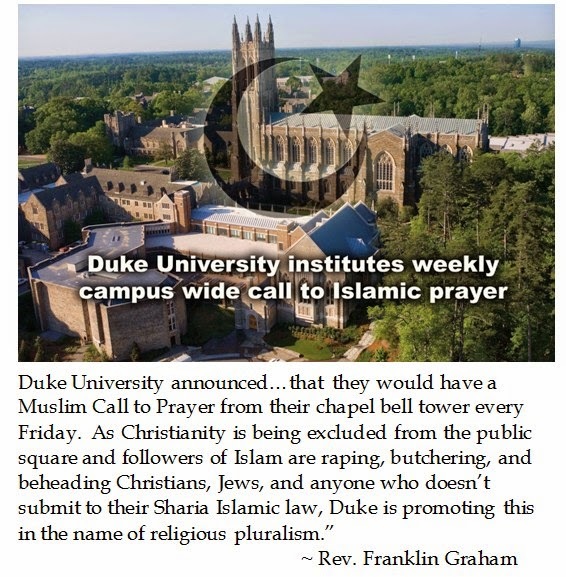 Duke University announced that the Muslim Call to Prayer would be broadcast every Friday at 1PM. This was being done to promote religious pluralism for the 700 Muslim students on campus. 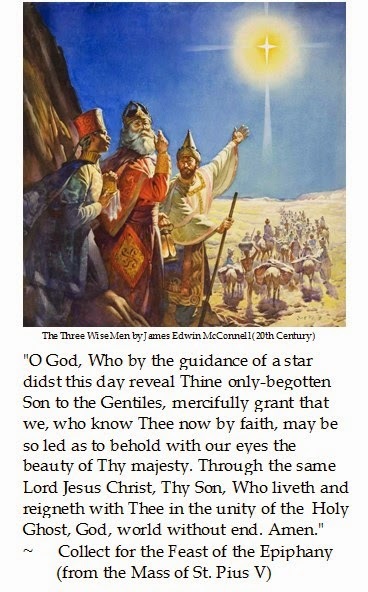 Imam Adel Zeeb, the Muslim chaplain at Duke explained: "The adhan is the call to prayer that brings Muslims back to their purpose in life, which is to worship God and serves as a reminder to serve our brothers and sisters in humanity." 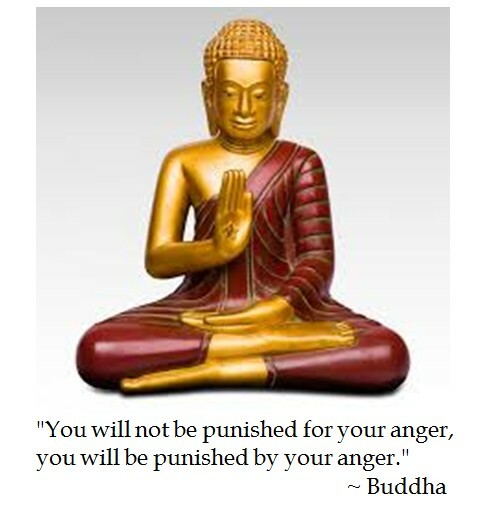 Off-campus, however, reaction to this news was swift and condemnatory. The Reverend Franklin Graham took to social media to express disapproval of Duke's decision. Although Muslim students had been meeting in the basement of the Chapel for years, Rev. Franklin felt that amplifying the adan was poisonous pluralism. 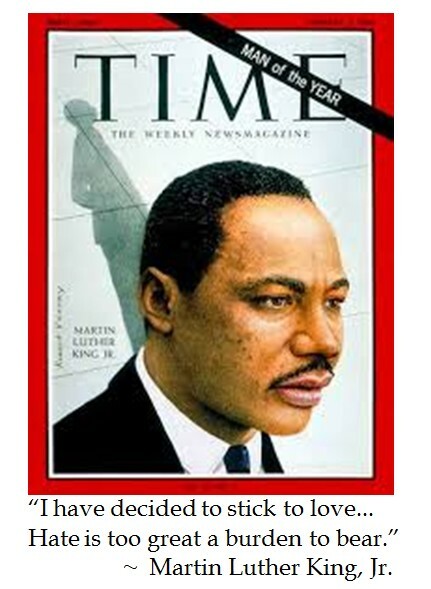 Franklin posited that: "You're taking that bell tower, and you're turning it into a Muslim minaret. 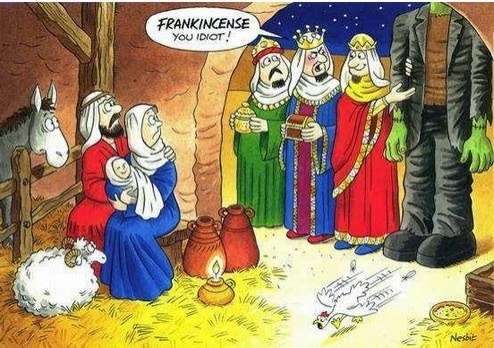 I think it's a slap at the Christian faith." 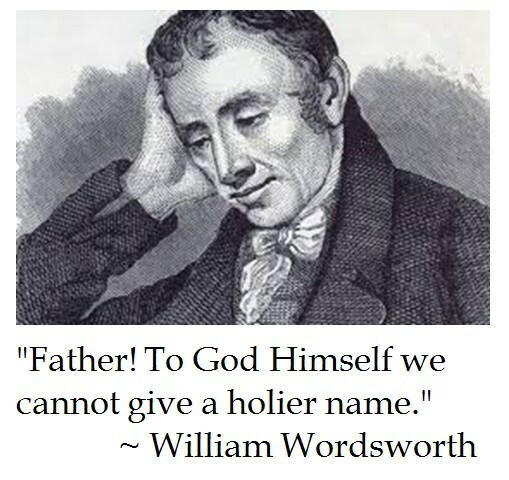 It may not have just been Franklin Graham's moral suasion which won the battle for the bell tower. Franklin Graham's initial Facebook post suggested that alumni and donors ought to withhold support until the decision was reversed. After University officials opted against amplifying the adan, Rev. Graham posted his support for Duke's decision. Omid Safi, the director of Duke's Islamic Studies program, disputed the notion that the Call to Prayer was an effort to supplant Christianity on campus. "Every day from that same Duke chapel, church bells ring, and twice on Sunday. The cross is on the emblem of Duke University. The entire quad, and the entire campus of Duke University is laid out as a cross. And the Christian chapel is the very symbol of Duke University. 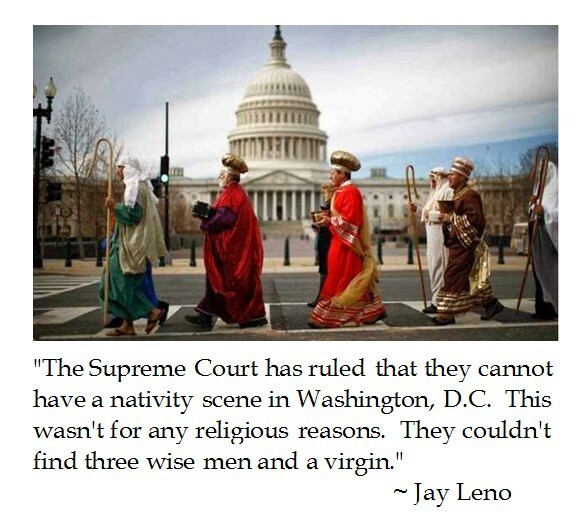 So the kind of fanatical proclamation that Christianity is being erased from Duke’s campus is frankly a poor indication of the intelligence of that argument." While it is true that Duke University was founded by Methodists and Quakers, the Blue Devil's campus has long been operating as a secular school. It is facile reasoning that the church bell rings twice on Sunday at Duke Chapel as it ignores the symbolic importance of the adan. Duke's Chapel is at the highest ridge on campus and one of the highest points in Durham County. Having the Collegiate Gothic Chapel broadcast the prayer Friday afternoon would be interpreted by radicalized religious as establishing the dominance of Islam over those academic ivory towers. It is reminiscent of the controversy over the 2010 proposed "Cordoba House" at Park 51 near Ground Zero in lower Manhattan. There was a great effort by Developer Sharif El-Gamal to plant a mosque in the area, even though there was not a large enough community to support it. Three years after the mosque opened, El-Gamal announced that he aspired to build a three story museum dedicated to Islam near Ground Zero. “The structure as you describe it would be as grotesque as a three-story museum dedicated to exploring the faith of Shintoism and emperor-worship, and its arts and culture, with a sanctuary for prayer services and community programs, at Pearl Harbor." We in the west seem like we are metaphobes who are incapable of appreciating the significance of symbolism or the political impact of Islam. They fail to consider that Islam is a holistic system which incorporates law, governance as well as spirituality. Radicalized Islamists seek to impose sharia law through cultural jihad. France is grappling with a suspicion the political correctness coupled with Islamic accommodations is creating an Islamicized France. While the majority of North American Muslims seem content to live in a secular society with a pluralistic polity, it is easy to understand why some are chary about allowing accommodations which can be seen as a primus entre pares situation. A prominent imam in Saudi Arabia issued a fatwa against creating snowmen or snow animals. This was to keep consistent with Quranic teaching of not depicting anything with a soul. However, fashioning the snow to depict "lifeless" things, like buildings, ships or fruit is supposedly fine. 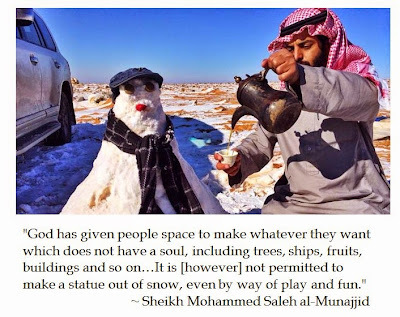 The fatwa against snowmen is not just an academic exercise for Saudis. There was a significant snowfall in the Province of Tabuk around 1500 kilometers northwest of Riyadh. 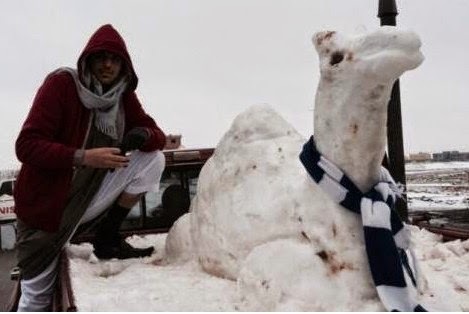 So someone crafting a snow camel festooned with a local soccer team's scarf was haraam. Labels: Fatwa, Islam, Muslim, Pensee, Quotes, Quran, Saudi, Sheik Mohammed Saleh al-Munajjid, Snowmen, T.R.O.P.